Facebook is one of the fastest growing advertising platforms today, which means that every day you spend waiting around to begin your advertising campaign is another day that the competition grows even more fierce. It also means that every day you spend wasting money on a campaign that is either not converting or barely giving you an ROI is another day that your business is in trouble. 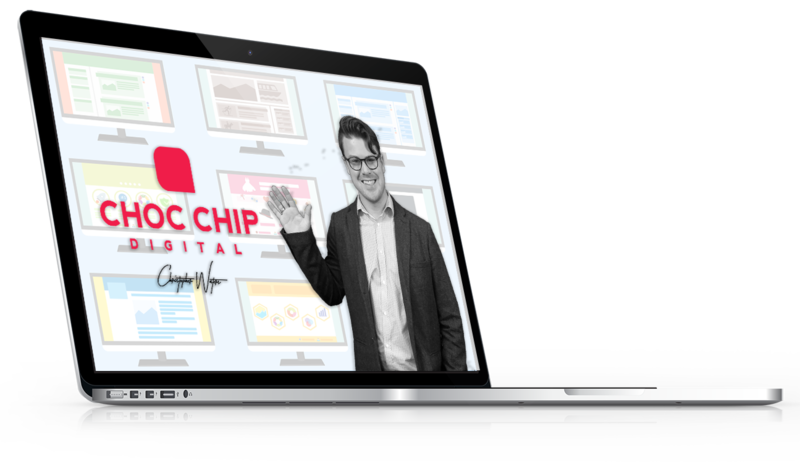 With Choc Chip Digital’s social media advertising experts, we’re able to build you a campaign from the ground up or convert your wasteful campaign into one that delivers a significant ROI for every dollar you spend. Facebook’s advertising platform is a unique beast, with hundreds of different variables at play — all of them affecting how much you’re spending per click, per lead, and per conversion. If you get the targeting right, you’ll see a substantial ROI. If you keep throwing money at a bad campaign, though, you’re going to end up frustrated, writing off Facebook as a viable advertising platform for your business. That’s why we take a very specific, calculated approach to delivering amazing results on your Facebook ad campaigns. Our work starts with an existing campaign audit. We’ll look at the campaign that you’re already running and determine where you’re leaking your advertising dollars and areas that we can tighten the targeting to ensure your offers are a very specific match to your target market. Then we’ll look forward to the future. It’s not enough to have a campaign that converts on Facebook today, because the competition is growing at a rapid pace. When your competition figures out that a strategy is working for you, they’re going to duplicate it. By looking into the future with your campaign, we’ll spot new marketing opportunities and strategies, new ways to lower your costs per lead, and new target markets that we can match your offers to. Then the hard work begins. Implementing the campaign we’ve laid out for you is a time intensive process and one that requires paying close attention to every detail. If you get one detail wrong, you could be looking at the difference between a campaign that consistently loses money and one that delivers a massive ROI. Once your campaign is off the ground and running full steam ahead, we begin work on converting more of the visitors that land on your sales pages into paying customers. It’s no secret that it is impossible to convert every visitor into a sale on their first visit. That’s where remarketing comes in. When prospects land on your sales pages, they’ll enter into a list that allows us to track where they go online, showing your advertisements to them for less than your initial cost per click. This gives you multiple opportunities to make the sale when they’re ready to buy. Maintaining vigilance is a requirement. Every day that you’re not working on optimising your campaign is a day that your competitors are drawing closer in. We’ll put in the time and energy to make sure you’re not only staying ahead of your competition, but that you gradually decrease the amount you’re spending on every lead you capture. The type of target matching we implement, coupled with the remarketing campaigns means that you’ll not only capture more leads, but that your offers will be specifically matched to your market, making it a no-brainer for them to purchase. So what are you waiting for??? Contact us now, and we’ll teach you how to dominate your industry, and tap into the amazing potential that the internet has to offer when you’ve finally got the right marketing agency standing behind you!